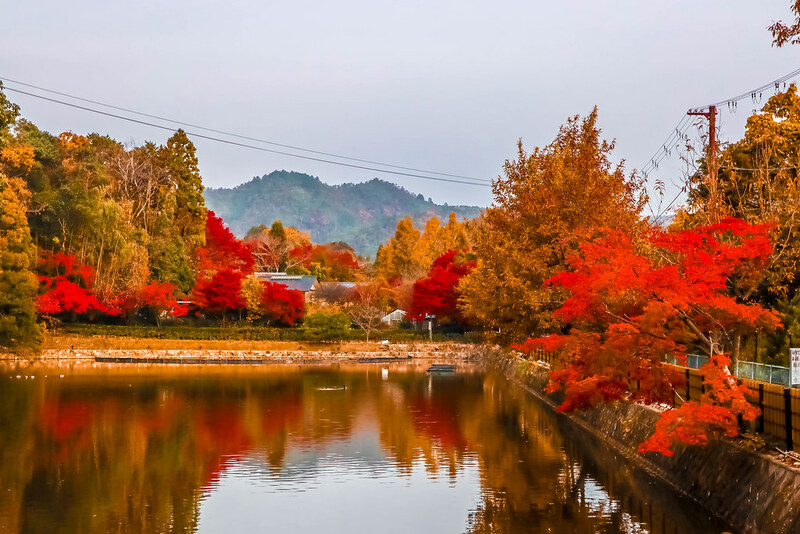 Apart from spending an entire day exploring the Higashiyama District, you should allocate another full day to discover the gems of the Arashiyama District. 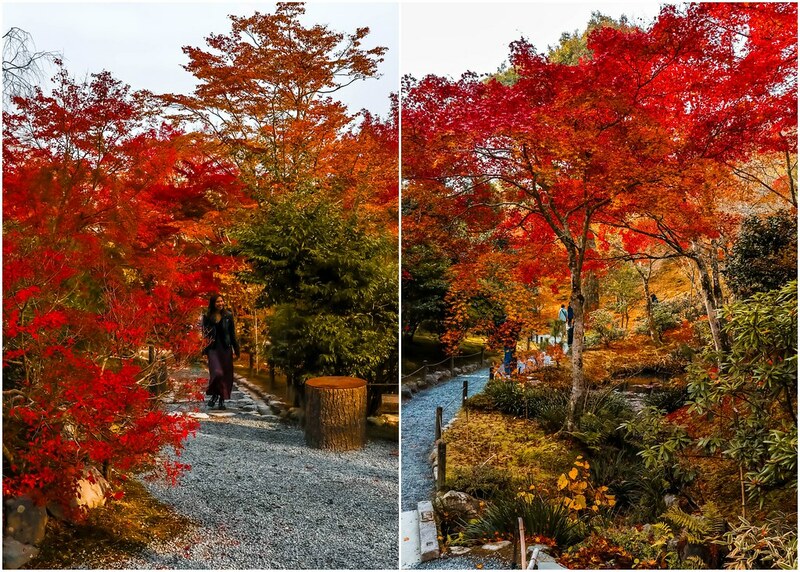 It is situated far west of Kyoto and takes at least 30 minutes by public transport from the city centre. 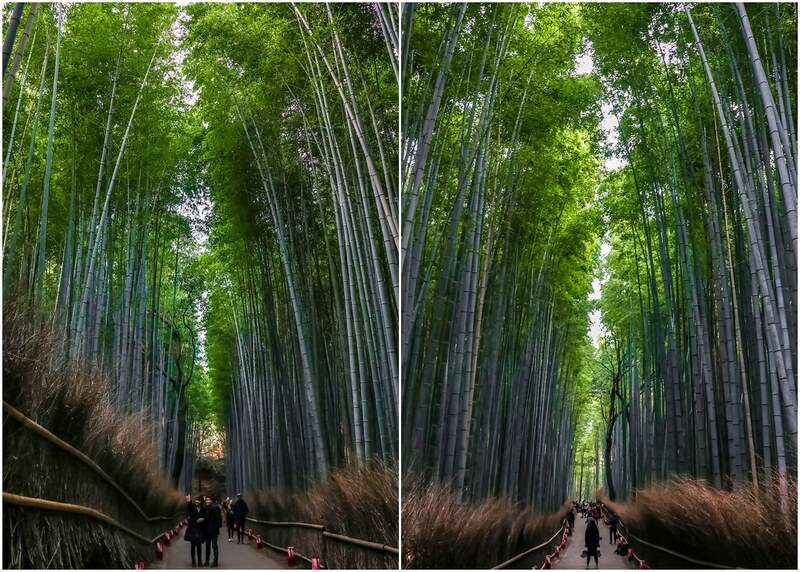 You can visit many temples and shrines, immerse yourself in nature, and enjoy a stroll along the bamboo grove. The Togetsukyo Bridge, the most popular landmark in the district, is a good place to begin your Arashiyama adventure. 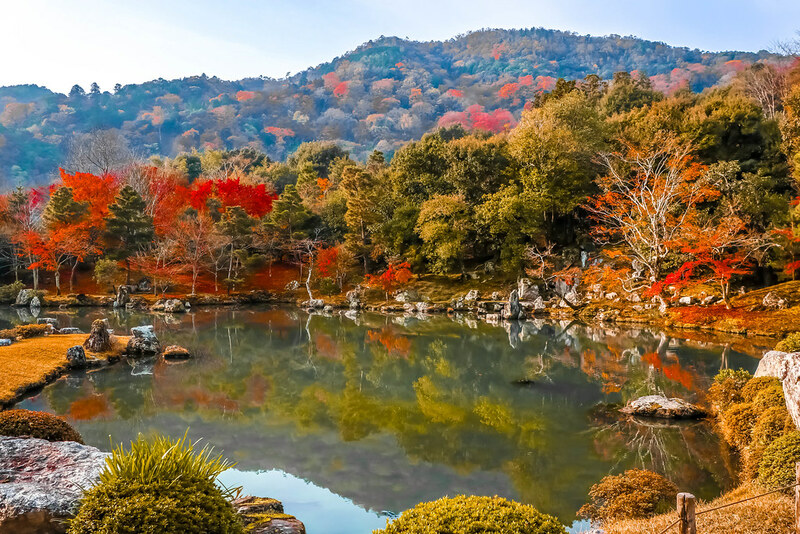 Here’s an interesting piece of information I learnt from a local who could speak English – he explained that the area north of the Togetsukyo Bridge is known as Sagano, while the name “Arashiyama” technically just refers to the mountains on the southern bank of the river but is commonly used to name the whole district. 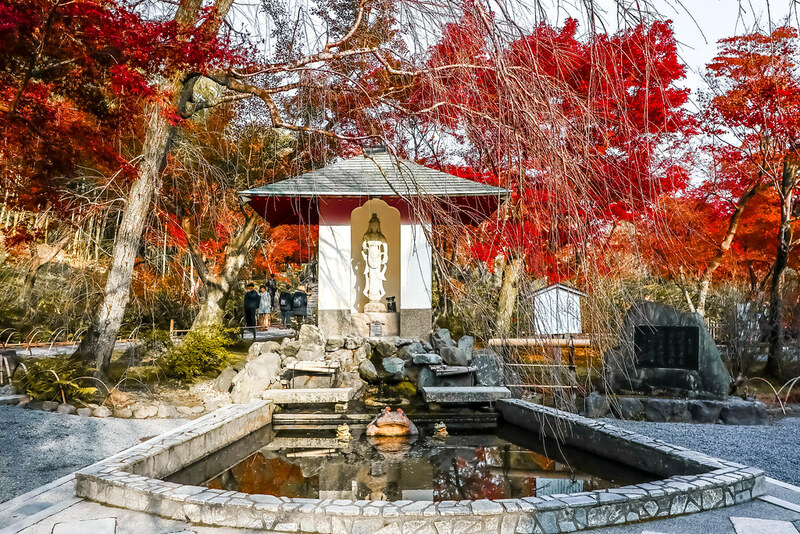 Take a leisure walk upriver to Kameyama-koen Park, or into Tenryu-ji Temple and on into the Bamboo Grove. 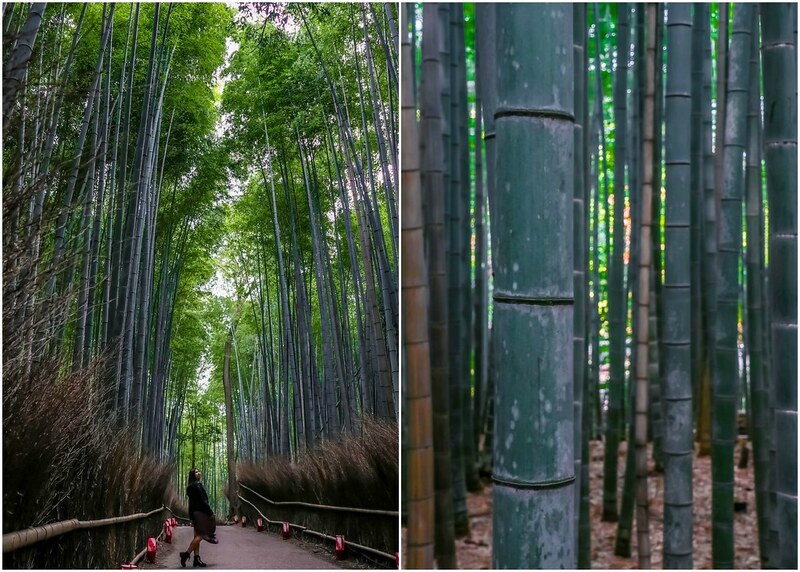 To avoid the crazy crowds from tour buses, I recommend arriving as early as 6.30am, and start your Arashiyama journey at the Bamboo Grove. It’s impossible to get a picture without being photobombed if you’re there after 8am. 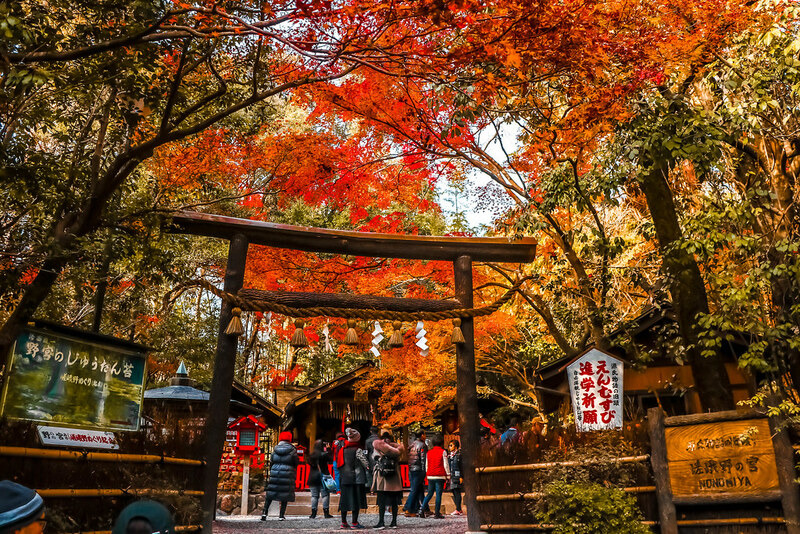 You can move on to admire the fall foliage at Tenryu-ji Temple after you’re satisfied with your photos from the Bamboo Grove. It was around 10am by the time I was done covering the Bamboo Grove and Tenryu-ji Temple. I had a pretty tough time jostling my way through the overwhelming crowd at the entrance of the pathway leading to these two attractions. There are a couple of stalls serving matcha and houjicha soft-serve ice-cream and hot savoury finger food at the entrance. 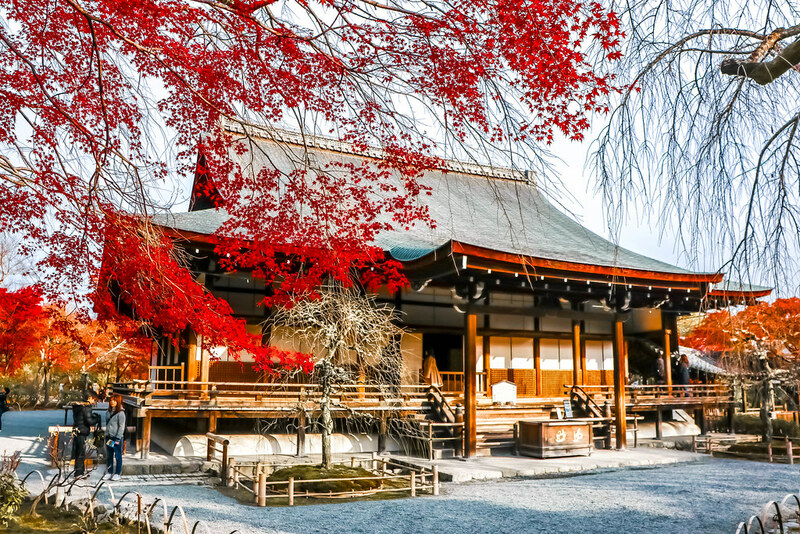 You can rent a bicycle to go around Arashiyama or explore the other attractions such as the Okochi-Sanso Villa, Gio-ji Temple, and Adashino-Nembutsu-ji Temple on foot. You can also rent a boat and row around the lower Hozu-gawa area. I heard that this area is very beautiful during the cherry blossom season. When you’re tired, head over to the Tenzan-no-yu Onsen for a relaxing bath and spa treatment. 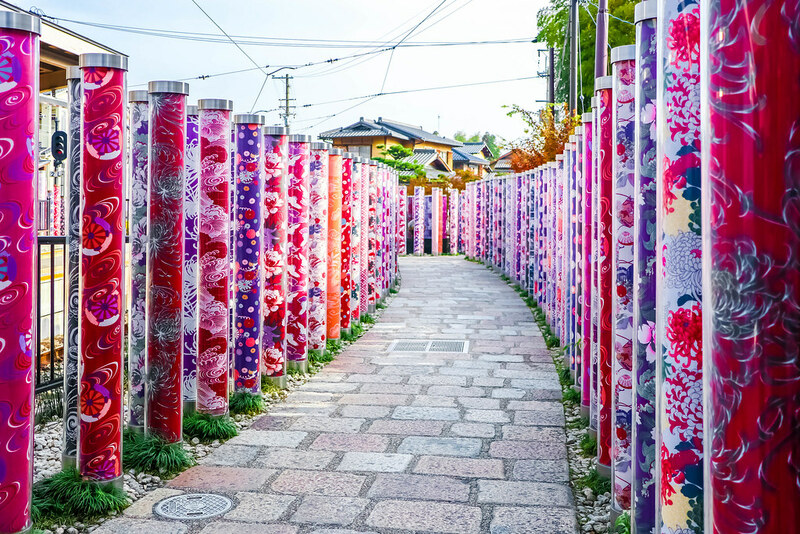 The Arashiyama District also boasts many restaurants and souvenir shops. 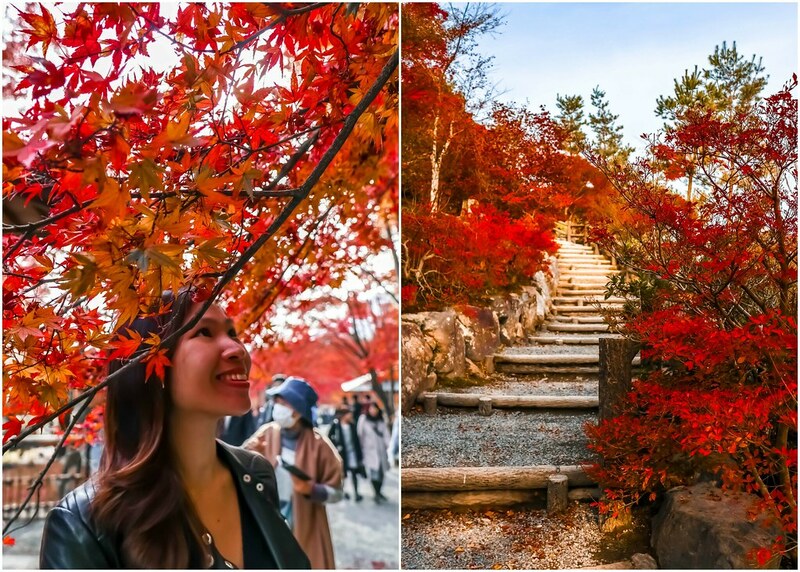 Kyoto is truly a scenic city, and I’d rather spend more time exploring this historical city than the ultra-modern, cosmopolitan Tokyo.